It is with great pleasure that I announce that the Articles of Incorporation for MEBO Research, Inc. were registered at the Florida Department of State, Division of Corporations on April 21, 2010 and assigned Document Number N10000003979. Thus, MeBO is now officially a company registered in the United States. The Legal Clinic of the College of Law of Florida International University has offered their pro-bono services to write the documents necessary for MEBO Research, Inc. The cost for this filing was $78.75. The next step is to apply with IRS for a 501(c)3 non-profit (Charity) organization status. I’ve been advised that to file for the 501(c)3 status will cost an additional $700-$800. Once these steps are finalized, I will then apply to the College of Business Clinic (also a pro-bono service) at Florida International University for assistance in setting up a transparent accounting system, and hopefully also in the grant-writing process. 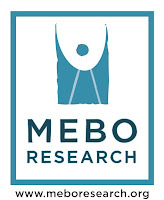 MEBO Research, Inc. is a sister company of MEBO Research, a Limited by Guarantee Company registered in England and Wales on February 5, 2009 as a limited non-profit company. For additional information, please see previous post.